Verizon Buys Yahoo, Ending The Run Of An Internet Mammoth : The Two-Way While Yahoo will keep its most valuable assets, the $4.8-billion sale effectively disbands Yahoo as one of the longest-running Internet companies. Updated at 10 a.m. ET on Monday to reflect the announcement of the deal. Yahoo has found a buyer for its core Internet business: the nation's largest telecom provider, Verizon Communications. The two companies announced the $4.8-billion deal on Monday. For Yahoo, this ends the final act of one of the longest-running Internet companies. Founded in 1994, it survived the dot-com boom; the company now has the third most popular search engine in the United States, trailing behind Google and Bing. Aside from the search, Yahoo also has finance, news, mail and other specialty verticals as well as the blogging site Tumblr and photo site Flickr. Yahoo's biggest value, however, has rested in its stakes in the Chinese online retail giant Alibaba and in Yahoo Japan — and those will remain with Yahoo. The deal also could spell an end of the tenure of Yahoo's high-profile CEO Marissa Mayer. For Verizon, this is the latest purchase in its push to refashion itself into a digital conglomerate of various mobile, Internet, video and advertising services. Last year, the telecom company bought AOL for $4.4 billion, acquiring its content sites, including the Huffington Post and TechCrunch, as well as ad targeting technology. 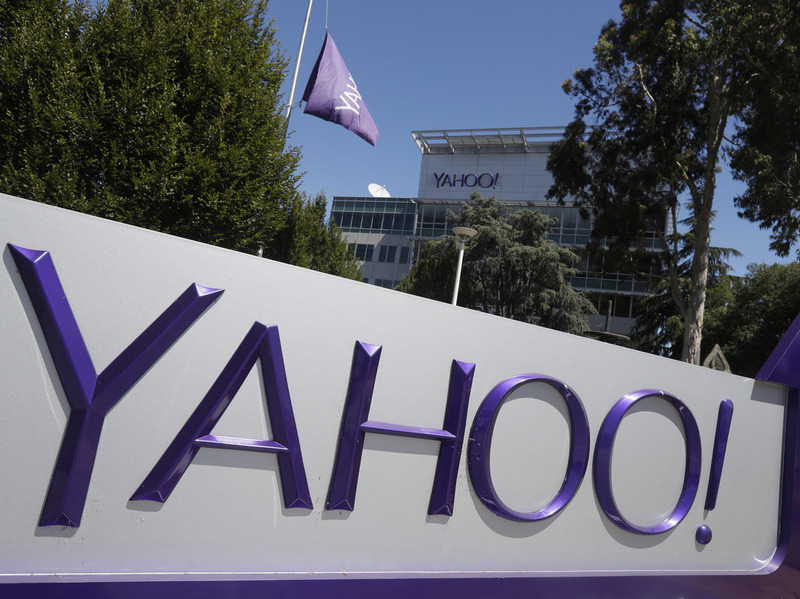 A merger with AOL's assets may add heft to Yahoo's Internet real estate. As NPR's Laura Sydell has reported, Yahoo's share of worldwide digital ad revenues is around $2.6 billion, according to eMarketer, but that's 1.5 percent of the online ad market — it pales in comparison to Google and Facebook, which control about 40 percent. As Bloomberg puts it, "Yahoo got fat over the years as it navigated the rapidly changing industry in a sprawling effort to be all things to all people — from search to shopping to news outlet to blogging hub." And that means high spending on acquisitions and recruiting to make up for decline in ad revenue. Apart from Verizon, other bidders for Yahoo's Internet business were said to include AT&T, buyout firms and Quicken Loans founder Dan Gilbert. The details of Verizon's deal did not specify the value of the "!" at the end of "Yahoo!" The unforgettable Yahoo! yodel jingle.